Become a Kindness Card Partner Today! Our goal, along with our valued partners, is to celebrate 1.5 million acts of kindness by December 31, 2017. 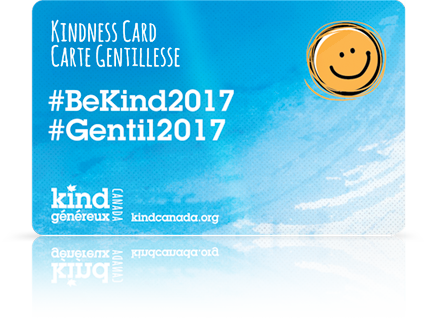 Kindness Cards are a powerful way for your company to be involved and play a visible role in this unique celebration of Canada’s 150th anniversary. At the same time, you will be cultivating a culture of kindness in your workplace that will increase employee engagement and productivity, and reduce stress and absenteeism. Become an exclusive partner in helping to spread kindness across Canada! The Kindness Card Program is an engagement tool that can lead your company to positive change. Advance the effectiveness of HR programs. Be part of Canada’s 150th anniversary celebrations. 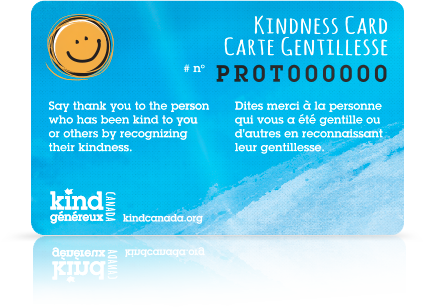 Kindness Cards produced for our partners are custom branded with your company logo, individually numbered and can be mapped by location on a secure section of Kind Canada’s website. Partners will be able to monitor the journey of each card across Canada and beyond. Be part of this exceptional national initiative 150 years in the making. There’s kindness in every card. Pass it on! 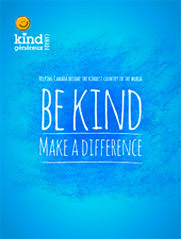 Contact Jeff Turner for more information on how you can become a Kindness Card Partner today.